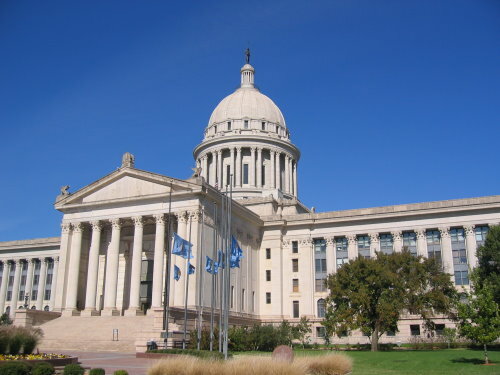 Senate Democratic Leader Kay Floyd, D-OKC, and House Minority Leader Emily Virgin, D-Norman, introduced a plan for a “Brand New State” on Tuesday. Brand New State is a unified agenda that seeks to build on the progress made by the legislature last year and take the steps required to make Oklahoma a Top 10 state in education, healthcare, and economic opportunity. Democrats focused their agenda on three core areas that affect the lives of every Oklahoman. For Democrats of both chambers, the discussion on healthcare has to begin with Medicaid expansion. Seven Democrats filed legislation to restore the refundable earned income tax credit. Its restoration is a major tenant of Brand New State. Click or tap the links below to view more information provided by the Oklahoma Democratic Caucus.